(2.0.0.16 > 3.0.8) == true ? So I think someone needs to look at the math used here, because 3.0.8 is greater than 2.0.0.16. 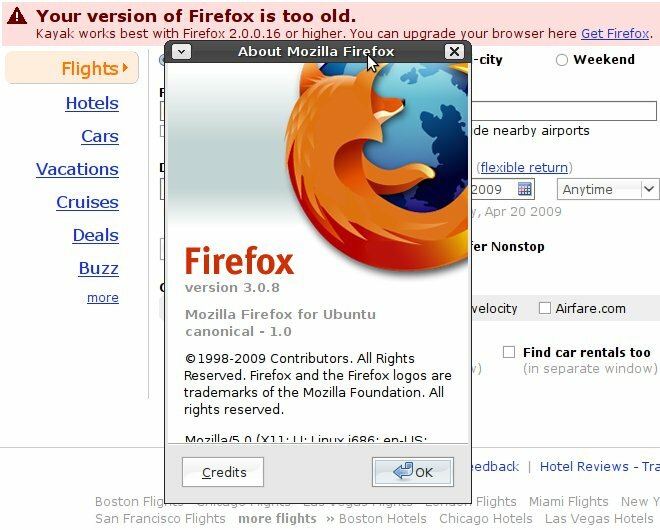 This is using Firefox on Ubuntu Linux. There is a Ubuntu bug that may be related to this, and I’ve added a comment and the screen-shot that’s immediately above. I still see the problem with FF 3.0.11. Going to FF’s about:config settings window and resetting it solved the problem. I’ve don’t know how this got set, maybe it’s a hangover from when the profile was used under FF 2.x?